Allegory for the Sun and WInter. Mural. Acrylic on Canvas. 9×12 feet. 2016. 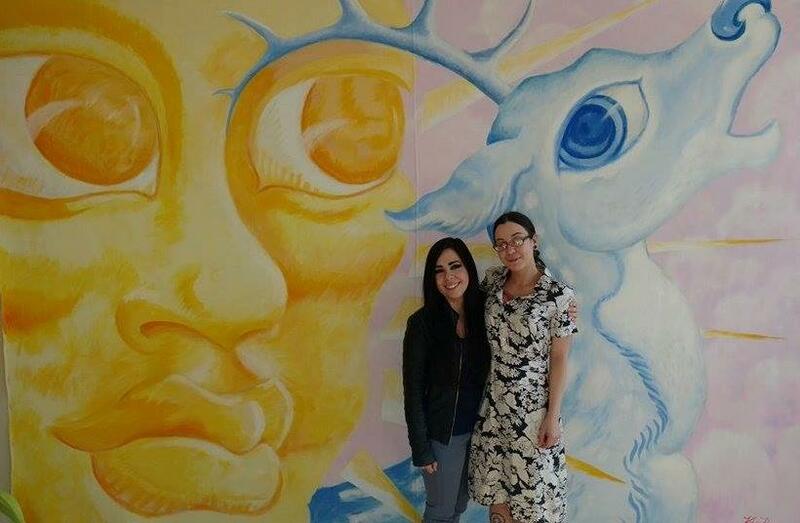 Pictured: JohannaGeorge, Curator of M Gallery, Youngstown, Ohio and Amber Slick, Owner of DNA Gallery, Warren, Ohio.